SPECIAL EDITIONS ARE GOING FAST! is now available for pre-order. This limited-edition art portfolio from the co-creator of Moon Knight has been decades in the making. All books feature over 80 pages of Don’s finest art, along with introductions from Johnny Romita and Bob Layton! BUT WAIT....SIGNED/REMARKED EDITIONS ARE AVAILABLE NOW! 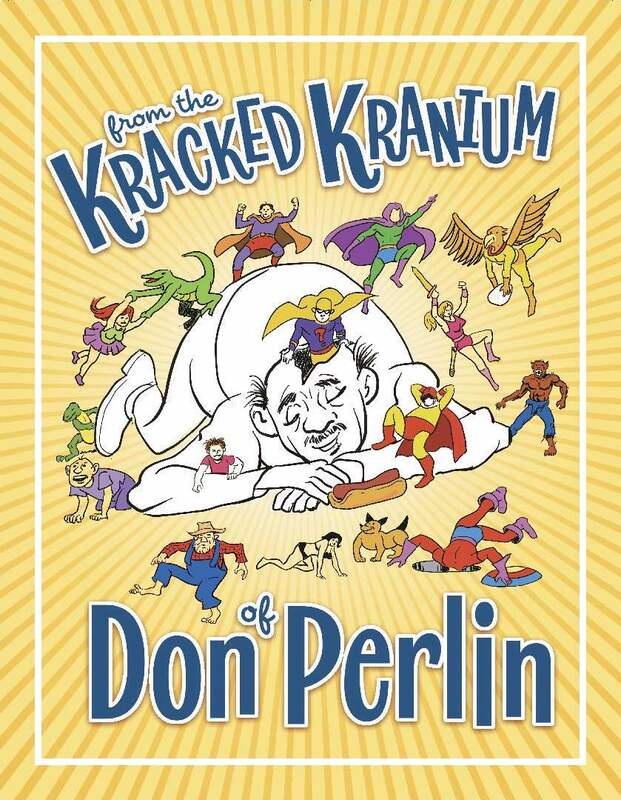 Available only from Aardwolf's website, 126 books contain limited-edition signed/remarqued bookplates each with a unique, original sketch from Don Perlin himself. Comic Book Babylon. 370 pages of truth. If you can handle the truth. What really happened to Gene Colan? Why did Harlan Ellison want to slap Jim Warren? And what happens when Barry Smith can’t find his Windsor? All books are signed by the author! He was called The Dean of Comics, The Shadow Master, and Marvel’s Iron Horse. His cinematic storytelling is instantly recognizable to generations of comic book readers. He stands out as one of the most influential and beloved of the many artists who illustrated our favorite comic book characters. He actually defined the way we feel about them—from Daredevil and Iron Man to Howard the Duck and Tomb of Dracula. Harlan calls Clifford Meth's COMIC BOOK BABYLON "an imperial hoot." You will, too, or your money back. Order this important book while we still have copies left.